Today we want to talk about those who are waiting on God to answer specific prayers regarding their spouse and marriage. It’s like your unanswered prayer takes on a life of its own and seems to haunt you each and every day. It’s hard to wait. Especially when we see no evidence of the changes for which we’re praying. How do we continue on when our prayers seem to be “on hold” from God? How do we motivate ourselves to do the right things when our spouse continues to do the wrong things? How do we keep the faith when our unanswered prayers walk by us everyday and seem to mock our hope? We don’t like waiting. We don’t understand why we have to wait. Especially when what we’re asking for is something good that God wants us to desire. For instance, salvation of a spouse, finding a job, having a much wanted baby, sitting by the sick bed of someone you love who is in great pain, emotional distance between husband and wife for no apparent reason, marriage where affection is absent, just to name a few. These are all very real reasons to feel pain and be discouraged. We must remind ourselves that God has made it clear He wants us to continue asking. But to ask for something everyday and never see the answer can be disheartening to say the least. There are some who die never receiving the answer to the promises God has given. Consider Abraham and Sarah. God had promised them great things, but they both died having only one son–hardly the vision Abraham had been given by God. But His faith never doubted. He trusted in the God He couldn’t see or understand. And we know the rest of Abraham and Sarah’s story. God fulfilled His promises to them in every way. 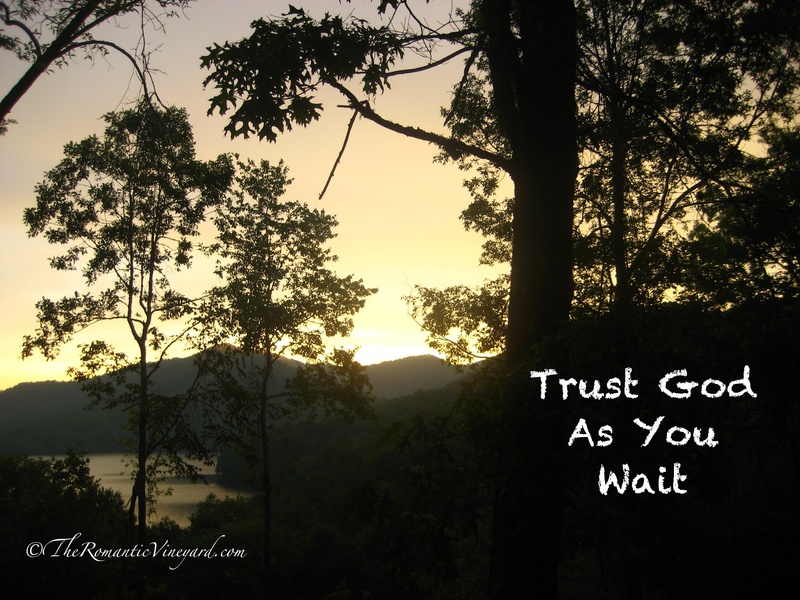 He was faithful, and it’s good for us to remember this Truth when living with unanswered prayer. It doesn’t mean God isn’t listening, He has promised to hear us when we cry out to Him–He will answer. The question is are we willing to wait? Sidewalk Prophets has a new song out titled, Help Me Find It, that ministered to me in a powerful way as I was thinking about writing this post. It’s the perfect way to help those who are struggling. I invite you to stop what you’re doing and allow the Holy Spirit to do what only He can do–comfort you as you wait. This entry was posted in Christian Marriage, Difficulty, Growing Strong Marriages, Music, Prayer, The Gospel & Marriage, Worship and tagged Abraham, Book of Proverbs, English Standard Version, God, Holy Spirit, Prayer, Sarah, Sidewalk Prophets. Bookmark the permalink. 2 Responses to Are You Living With Unanswered Prayer? Whether one is waiting for an answer from the Supreme Being- or one’s spouse… This is great guidance. Thanks so much, Roy! Have a blessed weekend!